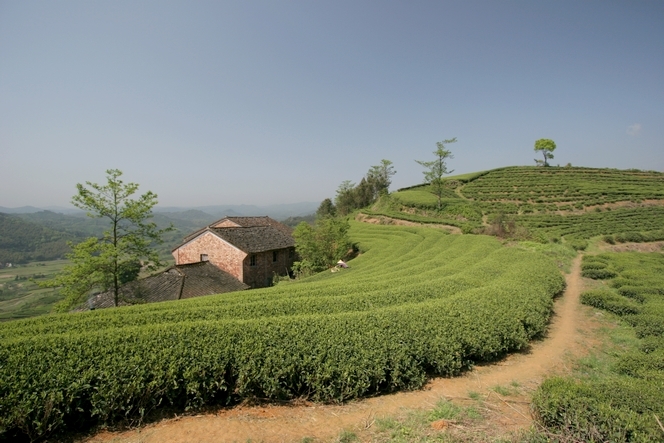 Since the tea leaves are picked constantly, like here in the Gao Shan region of China, litteraly meaning “High Mountain”, the tea tree cannot grow any bigger. It is maintained, harvest after harvest, at the most convenient height: not too low, so the task is not made more difficult, and not too high, to stop parasites developing at the base of the plants. 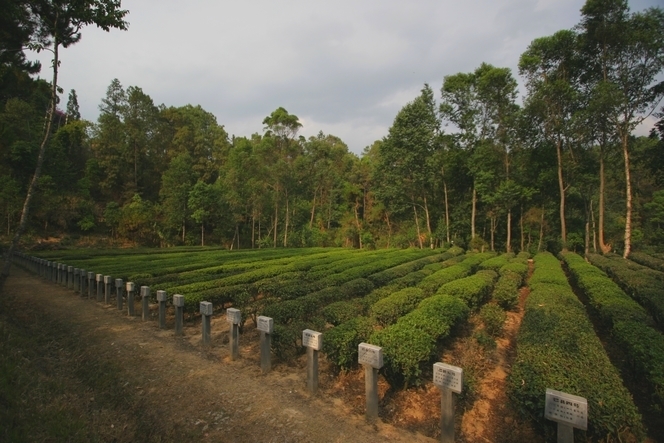 The tea trees are kept at between knee and waist height, depending on the region and the climate. What a welcome in the tea plantation of Fuding ! Travelling is all about meeting other people. Many of the regions I’ve been to are not at all touristy. So the arrival of a foreigner is a big attraction for the children. Their reactions vary from surprise to hilarity. 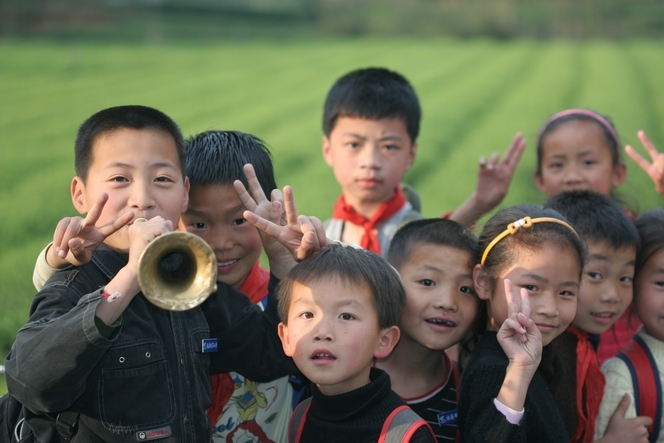 Here, in Fuding (China), I was welcomed with a cheerful and noisy fanfare! This strange bunch calls me “Big Nose”, as this is how Chinese people call us, whites. Let’s get back to tea and how it is harvested. When the camellia is fully grown, the youngest leaves are plucked. 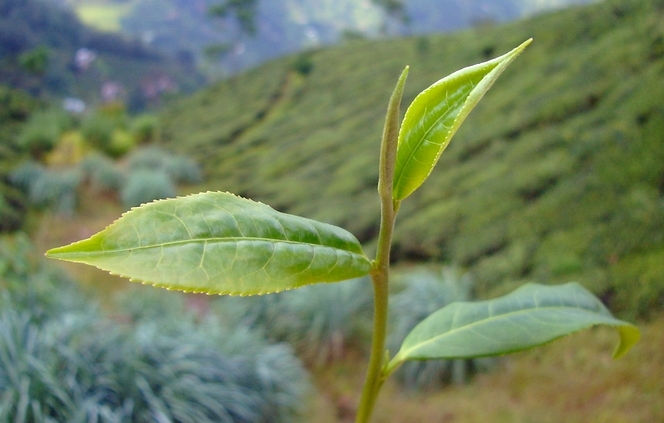 In this photo you can see what is known as the “fine plucking”: the removal of the bud and the next two tea leaves. This is almost the best thing that can be done with tea: it’s a symbol of perfection. 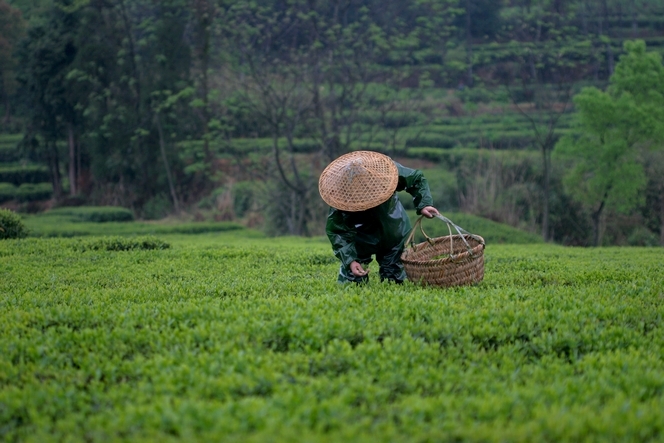 Imperial tea plucking takes place in China in May. It is a very exceptional occurrence and only takes place in those rare villages that are said to produce the most famous teas. As for the plucking of the bud alone, this is sold under the name Silver Tips or Yin Zhen; it is extremely subtle and needs to be appreciated by connoisseurs. From left to right: fine plucking, imperial plucking and the bud alone. The purpose of my blog is to allow you to take part in my travels. I spend a large part of the year visiting tea plantations. The landscapes are often magnificent, the people I meet very welcoming. I’m learning more about tea all the time. It is these landscapes, these people, this knowledge I’d like to share with you, if you wish. This blog makes a lot of sense to me: what’s the point in doing your dream job if you don’t share it? I love this photo taken near Fuding, in Fujian province, China. I like the gentle movement of the rows of tea plants. And this beautiful house, so peaceful, buried in the greenery. I didn’t want to leave.